Being Friday the 13th, we figured something a little spooky might be in store for this edition of the blog. Unfortunately, a lot of things can go wrong while moving, and the industry is full of horror stories from folks who have had bad experiences. 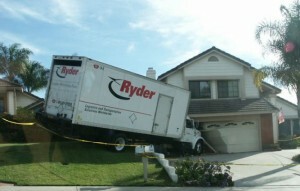 Here are a couple of the worst moving horror stories we have heard here at Garrett’s Moving and Storage. Have you had a moving horror story? Tell us about it in the comments! I hired a guy off of Craigslist because he gave me a good quote. He not only dinged all my furniture, but got sweat stains all over my sofa. He acted like he had a few too many drinks and nearly fainted half way through the move. I was moving within my neighborhood and found a company off Craigslist. The two movers were super fast in loading the truck but when we got to my new place they refused to unload anything unless I paid them both $100 extra cash (this was on top of the original price). Needless to say I refused and an hour later they finally unloaded my things. I was moving from Dallas to New York and the movers were supposed to get here a week after I arrived. I called 1 day before the movers were supposed to arrive to make sure everything was on schedule. The woman said she would check and get back with me. For the next 3 days I kept calling and calling with no response. For one week I lived in a sleeping bag and the barest of essentials. The movers did not arrive until a full week after they were supposed to. I remember being a kid and witnessing my aunt and uncle’s move from an apartment. My aunt’s prized upright piano was loaded by my dad and uncle into the back of their pickup. I watched as the truck climbed up a steep hill and the piano came rolling out the back and smashed on the street. My aunt cried, but I thought it was actually pretty funny. These people learned the hard way that cutting corners while moving often ends up in stress and heartache. With our best in the industry extended coverage policy, careful packing process, and A+ BBB rating, Garrett’s Moving and Storage has been helping movers write success stories since 1992. With Garrett’s, you can have peace of mind knowing your possessions will make it from point A to point B in perfect condition. Contact us today at 972-487-5843 for a free estimate or click here to request a quote online. 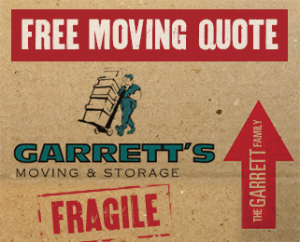 Keep a lookout for our next blog from Garrett’s Moving and Storage, one of the top Dallas moving companies.